All nations have some form of “exceptional” narrative that extols their special place in the world. Creating such a narrative is simple. All you need to do is highlight the wonderful or unique contributions made by your nation, ignore any similar contributions from other nations, and sweep under the rug all embarrassing or negative events. Exceptionalism narratives are really a form of nationalism pretending not to be. Usually historians shun these types of distorted histories, but not always. In The Guardian, Rebekah Higgit also challenges the narrative of British exceptionalism: “Historians and readers of history both need to be aware of the biases of our education and literature. 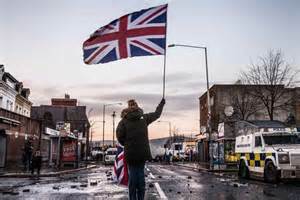 Accounts of British exceptionalism, especially those that lump the rest of Europe or the world into an amorphous group of also-rans, are more the result of national tradition and wishful thinking than a careful reading of the sources.” The same could be said of American Exceptionalism narratives. These narratives tend to breed arrogance and undermine the benefits of historical perspective. Whether or not Britain should remain in the European Union should be informed in light of the reality of Britain’s past, not the romanticized versions of British Exceptionalism. The stakes are too high. History News Network | Hundreds of British historians challenge assumptions of “Historians for Britain” campaign. Beware Eurosceptic versions of history and science| Rebekah Higgitt | Science | The Guardian. There is another European country that insists on having a unique historical path. It’s called Russia. Is that what the UK wants to be like? I doubt it.